In interviews with foreign media in early 1987, Lee said he was setting 1988 as his target year to step aside so he would force the pace of renewal and get younger men to take over. By then, it was widely known that Goh was the successor and de facto prime minister – playing the role of CEO while Lee was chairman, is how Goh puts it in the book. But at his 1988 National Day Rally, usually the most important platform to address the nation, Lee was silent on the date for succession. Instead, he handed out a frank assessment of the technocrat successors. He said that even though Goh had the “faster mind, a quick brain” among them, Goh was not his first choice for successor. Goh spent too much time trying to please everyone, he said. The word “wooden” was a funny dig and a segue to Lee’s second critique of Goh a week later. Lee told an aghast audience he found Goh too wooden and that he ought to see a psychiatrist. Goh was upset not by the wooden adjective flung at him – even though it came wrapped in the velvet glove of praise, it must be noted – but the advice to consult a psychiatrist. But as with the first episode, he “just shrugged it off”. The two incidents, however, were an epiphany for Goh. The humiliations liberated him from the burden of trying to match up to Lee. The third put-down was in the midst of the government’s dealing with so-called Marxist conspirators in 1988. While in detention, they had confessed to being Marxists, but recanted when they were released. Lee was out of the country and Goh, as acting prime minister, was deemed by Lee to have been too slow to crack down on them. 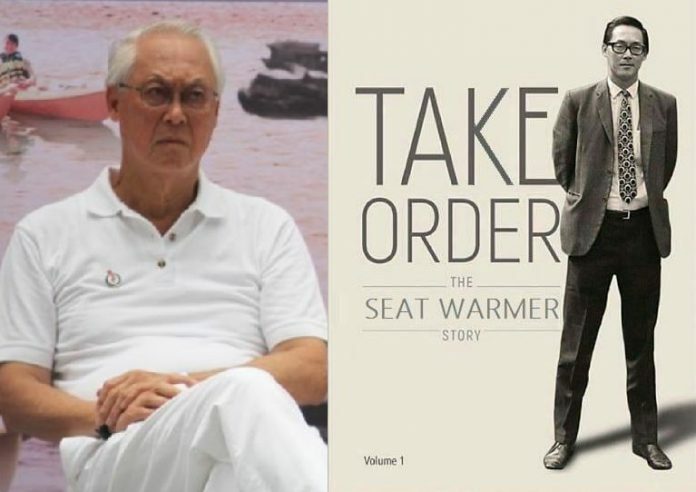 Despite Emeritus Senior Minister Goh Chok Tong’s assertion that he has always known that he was not a “seatwarmer” Prime Minister (PM) as many speculate, some have mocked Singapore’s second PM with a doctored cover of his recently released authorised biography. ESM Goh has contended with speculation that he was only installed as a “seatwarmer” since he was head of Government after founding PM Lee Kuan Yew and before Lee’s son, current PM Lee Hsien Loong, took office. 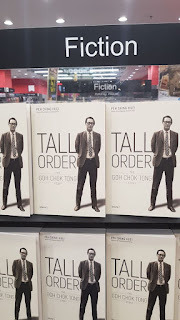 Tall Order: The Goh Chok Tong Story is a portrait of Singapore’s second-generation prime minister trying to find his own voice and steer his country in his own style, with the shadow of his predecessor Lee Kuan Yew looming large. As the book puts it, he was an improbable prime minister for an unlikely country – he had neither the connections nor the cunning to rise to the top. He was an ordinary man, except for his imposing 1.89 metre height, uncommon in Asia. His government career was marked by domestic policy wins and successes in expanding Singapore’s economic space overseas. But it was also fraught with political stumbles and humiliation by Lee, a man he described as both his mentor and kung fu master. 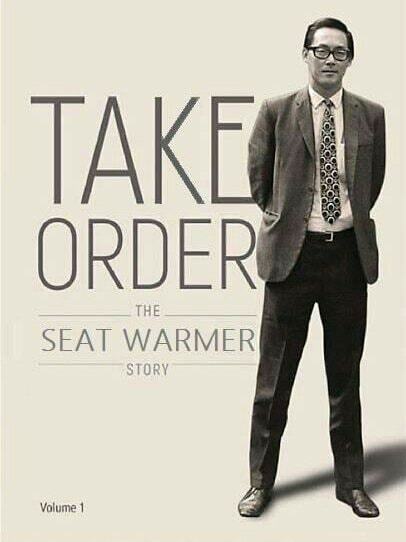 Q: He did not say seat warmer. A: Of course, he would not say so. It was the public who put it that way. Q: He meant that he and his son could not engage correctly, they would clash. A: He was correct. I think that is a nice way of putting it because Hsien Loong does have very strong views on certain things and the father also had certain views of certain things. And on some of these views – they clashed. I had seen in cabinet, Lee Hsien Loong putting up a different view from the father. The father wanted one way and Hsien Loong said, no, and they would clash. Hsien Loong is not a yes-man on things he believed in. So, what would I be in the analogy – a lubricant? (laughs). Excerpts from Tall Order: On being be a "Seat Warmer"
Q: How did you know that you were not a seat warmer? A: It was interaction and confidence in (Lee Kuan Yew). If I suspected that he was just putting me to be a seat warmer for his son, and just for two, three years, what is the point? Then I would have said 'let us find a way for Lee Hsien Loong to take over from you'. There was no need to have me. There was no point. But I never worried about the seat warmer joke. In my heart, I knew that Lee Kuan Yew never meant for me to be a seat warmer. Politicians must have some thick skin & be able to laugh it off because in my view, that is not what Lee Kuan Yew regarded me as. You must have self-respect. If Lee Kuan Yew used me for his own purpose, then what is the point for me? History would laugh at you, isn't it? I have the self-confidence. I was prepared to do the job & I knew he was honest with me, my strengths and weaknesses. When founding prime minister Lee Kuan Yew delivered his National Day Rally speech in 1988, many in Singapore were shocked to hear him say that then Deputy Prime Minister Goh Chok Tong was not his 1st choice to be his successor. Seated in the front row in the audience, Mr Goh, who by that time had been chosen by his fellow younger ministers as their next leader, felt "perplexed, stunned & dumbfounded". 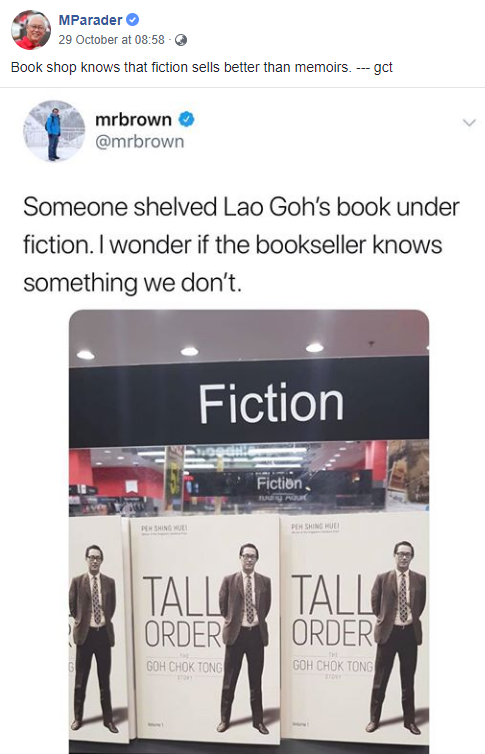 Mr Goh, now 77 and Emeritus Senior Minister, reveals these feelings for the 1st time in Tall Order: The Goh Chok Tong Story, a biography that has hit the bookstores. The book also details for the first time how Mr Goh felt humiliated when, a week after the rally, then-PM Lee made more public criticisms of him, saying that he was "wooden" when speaking in public or on television. Still, Mr Goh says: "It was not personal. He was not out to humiliate me for personal reasons, even though I felt humiliated." When founding Prime Minister Lee Kuan Yew delivered his National Day Rally speech in 1988, many in Singapore were shocked to hear him say that Deputy Prime Minister Goh Chok Tong was not his 1st choice to be his successor. Seated in the front row in the audience, Mr Goh, who by that time had been chosen by his fellow younger ministers as their next leader, felt "perplexed, stunned & dumbfounded". Mr Goh, now 77, revealed these feelings for the first time in Tall Order: The Goh Chok Tong Story, a biography that has hit the book stores. 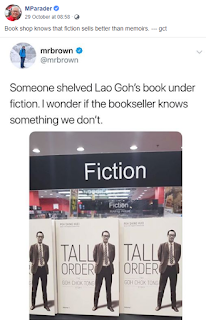 The first volume of Emeritus Senior Minister (ESM) Goh Chok Tong’s memoirs somehow ended up on the ‘Fiction’ shelves of a Popular Bookstore branch. The book, entitled Tall Order: The Goh Chok Tong Story, tells the story of Goh’s life and career until the moment he succeeded the late Lee Kuan Yew as Prime Minister in 1990. A second volume is currently in the works. Do you agree with ESM Goh that Ho Ching would have made a good minister? A book about Emeritus Senior Minister Goh Chok Tong is making waves lately with its many revelations about various prominent figures. 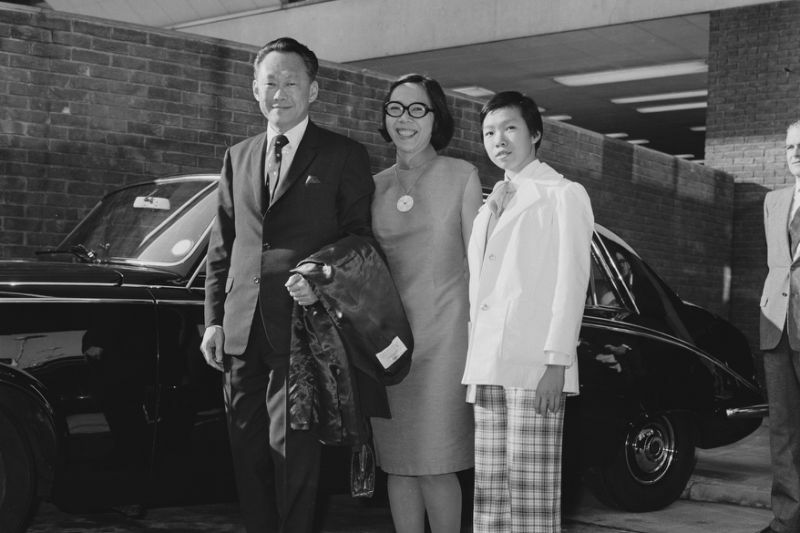 One such revelation was that Goh, in the early ’80s, had approached Ho Ching – while she was working in the Ministry of Defence, and before she married current Prime Minister Lee Hsien Long – to join politics. Ho Ching is currently CEO of Temasek Holdings. Goh had thought “she had the intellect and the attributes we were looking for”, adding that “she would have made a good minister, a different kind of minister”. She did not say no, but rather, not at [that] stage. In approaching Ho Ching for politics, has Goh breached his duties as cabinet minister? To me, the aspiration to hold political office should be a calling. As such, I never really understood or agreed with the ruling Peoples' Action Party's (PAP) practice of handpicking people who have not been involved in politics to join the party and run for office. If you want to get people who have hitherto not been involved in politics to join the political scene, you would have to entice them to join. They may have to leave their existing jobs and to get them to do that - wouldn't you have to sweeten the deal? This is perhaps why our current Members of Parliament (MPs) and ministers are paid so well. Arguably, some were not really interested in political office to begin with and only joined the fray because they were invited to and perhaps made attractive offers? Are these the right type of candidates? I don't query the intellect of those who have been handpicked. That said, having a high intellect does not necessitate to being a good MP or minister. A good MP or minister needs to have more than intellect, he or she needs to have empathy, desire and passion to be involved in public service. My concern is that the system of handpicking people not involved in politics to join the party may attract candidates who are only in it for the money or prestige. This, in turn, means that the government has to constantly offer high remuneration as an incentive to otherwise uninterested people. Is this the best use of public money? 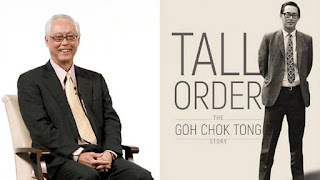 Former Prime Minister and current Emeritus Senior Minister Goh Chok Tong (Goh), has in his newly-released memoirs entitled Tall Order: The Goh Chok Tong Story, confirmed that this practice of inviting suitable candidates to join the firm. He revealed that "in the early 1980s, he approached Ho Ching to enter politics – but was told that the timing was wrong." 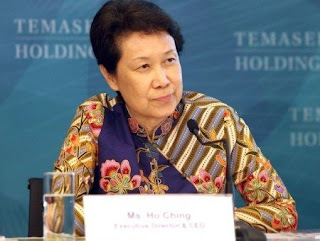 He further said that Ho Ching "had the intellect and the attributes we were looking for”. This begs the question - What attributes are they looking for? It sounds rather vague doesn't it? We are left to speculate what exactly those attributes are. Is it a safe pair of hands that will toe the party line part of the desired attributes? Is what is best for PAP always what is best for Singapore as a country? In the book, ESM Goh revealed that he did try to ask Ho Ching, presently the second wife of PM Lee, to join politics. But that was before she was married to PM Lee, after Lee's first wife Wong Ming Yang died shortly after giving birth to their first son, who was born with Albinism. Goh said, "I did approach Ho Ching and ask her if she would be interested in politics. It was quite early on. 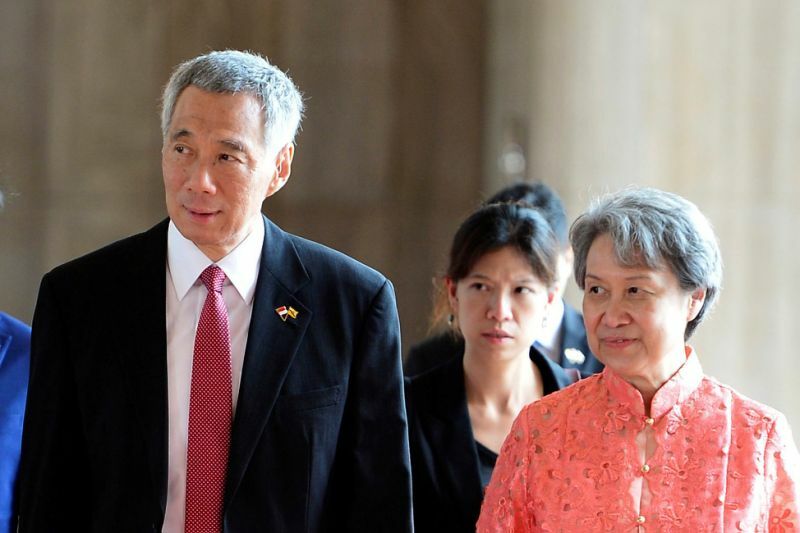 She was about 28, 29 or 30, before she married Lee Hsien Loong." Goh said he spotted her in Mindef and thought that she had the necessary "intellect and attributes". "I knew she was a President's Scholar, but I didn't know her well - only superficially because she was in the science part of Mindef," he added. "Through briefings and so on, I could see that she had a lot of substance. She would have made a good minister, a different kind of minister." Apparently, Ho Ching did not say no right away. Earlier in the biography, Goh asserted that he was the one who spotted and roped Lee Hsien Loong into politics. 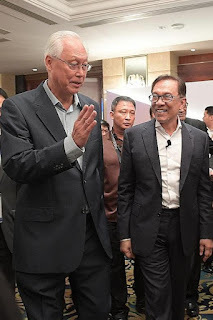 He also revealed that Lee Kuan Yew asked him to consider inviting his daughter Lee Wei Ling to join the ruling party but that he did not approach Lee’s middle child after Lee Hsien Loong advised him against it. “He never mentioned Hsien Yang. I thought of Hsien Yang, but I did not recommend him because I think he would be outshone by his brother. “Having two brothers in Parliament was okay – Bernard Chen and Kenneth Chen, at one time. Goh continued that Lee Hsien Yang “would be different from the brother,” had he entered politics since he is not a yes man. In the book, ESM Goh related how he did think of inviting PM Lee's brother, Lee Hsien Yang, to join politics. 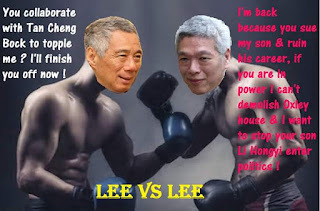 "But I did not recommend him because I think he (Hsien Yang) would be outshone by his brother (Hsien Loong)," Goh said. "Having two brothers in Parliament was okay - Bernard Chen and Kenneth Chen, at one time. But in Cabinet, how could I succeed as a PM if the father was there, the elder son and the second son too?" he recalled. "Nobody would believe I am my own man, isn't it? With three - what chance would you have? I mean, that was how people would think, not knowing we are different individuals." Still, ESM Goh thought that Hsien Yang's experience in the private sector is one up when compared to PM Lee, who does not have any. "Hsien Yang, had he come in, he would be different from the brother," he opined. "These are not yes-men. You see the situation now, he is fighting the brother." Goh continued, "He (Hsien Yang) would be a different individual with different qualities." "His value would be - had I been interested, and that was later on - experience in private sector. Hsien Loong did not have it," he added. While it is often perceived (rightly or wrongly) that the late prime minister Lee Kuan Yew brought his son Hsien Loong into politics, Goh Chok Tong says that the elder Lee actually recommended his daughter Wei Ling as a political candidate. In the first volume of his newly-released memoirs entitled Tall Order: The Goh Chok Tong Story, the Emeritus Senior Minister (ESM) revealed that some time in the 1980s, the ruling People’s Action Party (PAP) was looking for female candidates as there was a shortage of them. In this regard, Singapore’s first prime minister recommended his daughter as a potential candidate. “He said Wei Ling would make a very good MP,” recalled Goh in the book. This was down to her “very strong compassion for the down and out” and her “very strong sense of justice”, said the 77-year-old, quoting the late Lee. 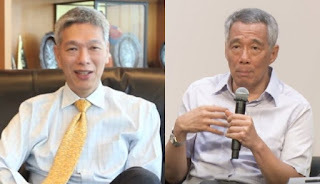 Ultimately, after sounding out George Yeo – who went on to become Foreign Minister – and then political neophyte Hsien Loong, Goh decided against it. “(Hsien Loong) did not think she was suitable and he was absolutely right,” said Goh, who was Prime Minister of Singapore from 1990 to 2004. Excerpts from Goh Chok Tong’s biography: On "Lee Wei Ling"
Q: (Lee Kuan Yew) did not suggest Lee Hsien Loong & yet he suggested Lee Wei Ling? A: Wei Ling as an MP. MP is okay. And it was because of her social conscience, which was very strong. At that time, we did not have so many women candidates. We were looking for women candidates and it was difficult to find them. So, he was helping me. It was not because he wanted her, but he was helping me look for candidates. It was in that context - here was a good candidate. 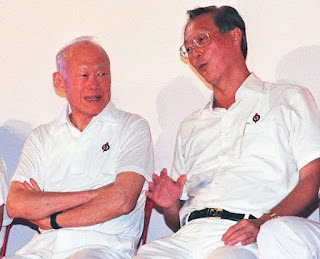 Emeritus Senior Minister Goh Chok Tong, who was Singapore’s second Prime Minister (PM) has revealed interesting details about his relationship with the nation’s founding PM Lee Kuan Yew and his son, Singapore’s 3rd and current PM, Lee Hsien Loong, in his new biography. 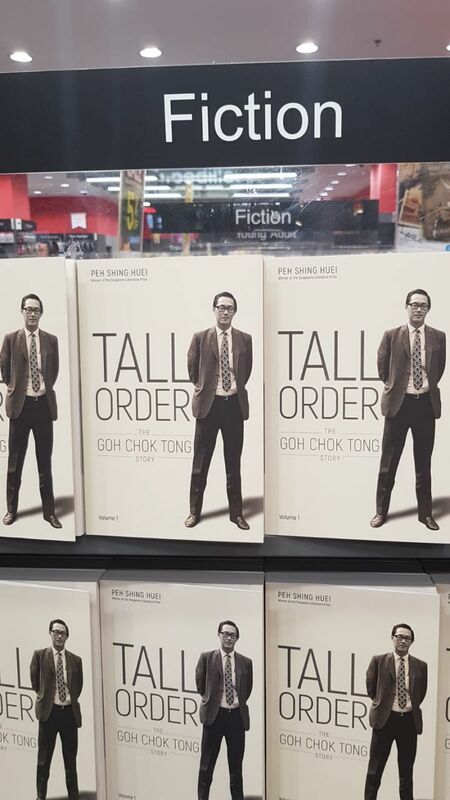 Written by author Peh Shing Huei, the authorised biography entitled Tall Order: The Goh Chok Tong Story covers Goh’s life until the point he becomes the nation’s second Prime Minister in 1990. A second part is expected to cover the rest of Goh’s life and career after he succeeded Lee Kuan Yew to become head of Government. Besides writing the foreword and the afterword for the biography, ESM Goh also answers certain questions the author poses in the biography. Peh Shing Huei, a former Straits Times journalist, asks the ruling party leader extensively about his speculation that he was a “seatwarmer PM” – holding the seat for Lee Kuan Yew’s son but Goh denies that this was the case. 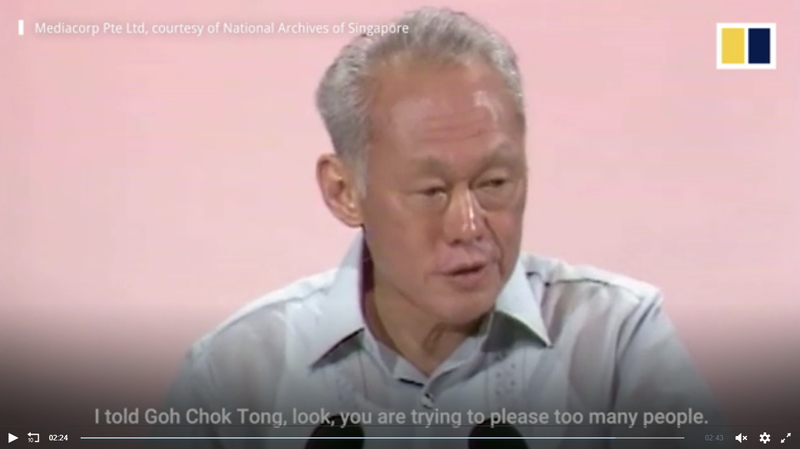 In 1988, Singapore’s first Prime Minister Lee Kuan Yew gave a frank assessment of the country's second generation of leaders at the country’s annual National Day Rally. 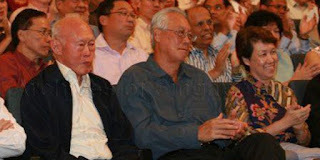 He revealed his future successor as prime minister, Goh Chok Tong, was not his first choice, leaving Goh, who was in the audience, “perplexed, stunned, dumbfounded”. “You have to live with the awkwardness of facing the big crowd after the rally. You had to be very wooden when you came out,” Goh revealed in a new book on his tenure as prime minister from 1990 to 2004. In 1988, then PM Lee Kuan Yew said that his first choice as successor was Tony Tan not Goh Chok Tong. Later, he described Goh as 'wooden' and that he might have to see a psychiatrist about it. Singaporeans were stunned. So were Goh and his associates. Why did Lee make such a blunt public assessment? How did Goh feel about it? Lee Kuan Yew might have accepted the second-generation leaders' choice of Goh Chok Tong as their leader in 1984 but he unsettled both them and the public four years later, at the National Day rally in August, when he made public his 1980 assessment of the five key men. His blunt statement on how he thought Goh tried to please too many people when he should not and that his first choice as successor was Tony Tan, although he had known by 1984 that the latter was not interested in the job, shook the people. Goh, who was 'puzzled and stunned' by the speech, remembered the awkwardness at the reception after the event. 'How would the people come and greet me? It was very awkward. They looked at me...they didn't know whether to smile or to sympathise with me,' he said. In response to Goh Chok Tong adopting the signature phrase “kinder and gentler” in 1988, the late Lee Kuan Yew presented the former with a copy of the seminal political text The Prince – and urged him to absorb its lessons. In the first volume of his newly-released memoirs entitled Tall Order: The Goh Chok Tong Story, Goh, who was Deputy Prime Minister at the time, revealed that Lee had felt the phrase telegraphed “softness” and “weakness”. Instead, Lee urged the younger man to subscribe to the tenets of the 16th century text by Niccolo Machiavelli: namely, that it is always better for those who govern to be feared rather than loved. But the man who had been designated as Lee’s successor – and who described him as “my mentor, master and teacher” – took a read and decided he did not like the Machiavellian approach. Emeritus Senior Minister Goh Chok Tong has said in his recently released biography that he considers long-time opposition politicians Chiam See Tong and Low Thia Khiang but that he would not speak to Chee Soon Juan, the leader of the Singapore Democratic Party. 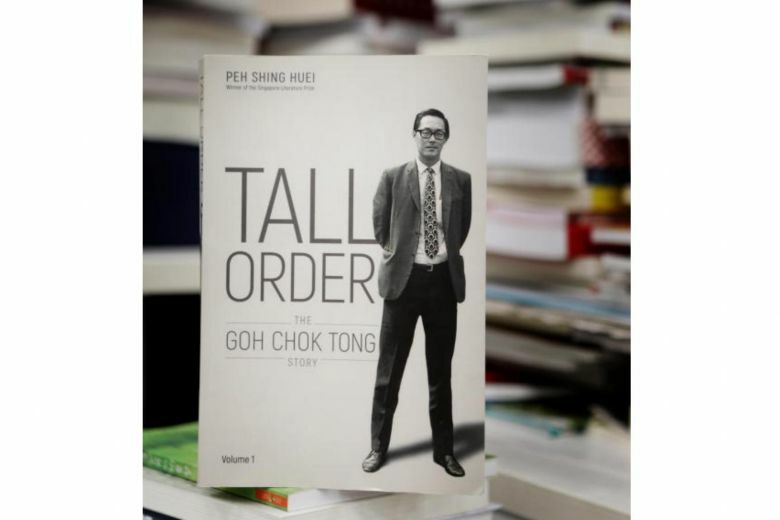 Written by author Peh Shing Huei, the authorised biography entitled Tall Order: The Goh Chok Tong Story covers Goh’s life until the point he becomes the nation’s second Prime Minister in 1990. A second part is expected to cover the rest of Goh’s life and career after he succeeded founding Prime Minister Lee Kuan Yew to become head of Government. Besides writing the foreword and the afterword for the biography, ESM Goh also answers certain questions the author poses in the biography. Peh Shing Huei, a former Straits Times journalist, asks the ruling party leader extensively about his opposition rivals and Goh answers candidly. For some years, Goh had felt that having the HDB as both the developer and estate manager of all public flats was an unsustainable arrangement. As the number of Singaporeans in HDB flats grew to above 2 million by the 1980s, there was too much for HDB to handle. Centralised control was slowing initiatives on the ground. 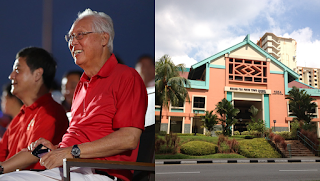 Goh Chok Tong says his PAP cohort wanted to give Anson CC to JB. 'Three Lees is too much': Goh Chok Tong on leading Singapore after. GE2015: Nomads, Roosters & "Bits Of Meat"